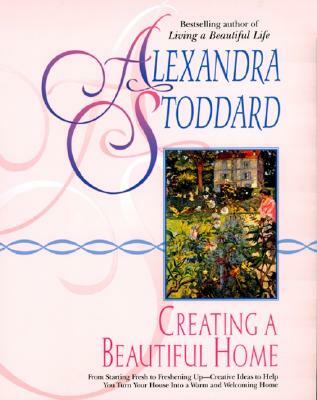 Alexandra Stoddard has brought beauty and grace to the lives of millions all over the world through her many books, including the phenomenal betseller, Living a Beautiful Life. In Creating a Beautiful Home, Alexandra Stoddard generously shares her professional secrets as an interior designer as well as her personal experiences in renovating and decorating her own 1775 home in Connecticut. Once again, her original and imaginative ideas for every room in the house will inform and inspire you on your own exciting journey of discovery as you transform your living space into a warm and welcoming oasis of harmony, beauty, and joy.